Why use the words "opened by a grandson of the Queen"
The Trustees have remained faithful to the intent of the veterans involved in the Memorial’s original design and construction... No spaces within the Memorial’s new Centenary Extension are named. The Memorial has been designed and planned in such a way that no utilitarian features in any way obtrude themselves upon the main intention of the design, which is to perpetuate for all time the memory of those whose honour the Memorial was built. S. Elliot Napier (ed. ), The Book of The Anzac Memorial, 1943, Beacon Press, Sydney, p. 47. The Anzac Memorial’s foundation stones were laid on 19 July 1932. They are inscribed with the words ‘A SOLDIER SET THIS STONE’ and 'A CITIZEN SET THIS STONE'. The soldier referred to on the first stone was Sir Phillip Game, the Governor of NSW. Sir Phillip had served as an officer in the Royal Artillery and later the Royal Flying Corps of the British Expeditionary Force on the Western Front during the Great War. The citizen referred to in the second stone was Bertram Stevens, then Premier of New South Wales. The decision to make anonymous those who laid the foundation stones is an important statement about the Memorial’s recognition of the community who suffered the impact of the loss inflicted by the Great War and its aftermath rather than a statement about individuals. To the glory of God, and in honoured memory of the men and women of New South Wales who gave their lives and in gratitude to all who left this state to serve the Empire in the Great War, I unveil this Anzac Memorial. Two years later, one hundred thousand people watched Prince Henry, Duke of Gloucester (The Duke of Sussex, Prince Henry’s Great Grand-Uncle); open the Anzac Memorial on 24 November. The ceremony was a simple one; in keeping with the words on the foundation stones it aimed to show that the Memorial building was for the people. The Trustees have remained faithful to the intent of the veterans involved in the Memorial’s original design and construction; thereby conserving the integrity of the Memorial. No spaces within the Memorial’s new Centenary Extension are named other than the Hall of Service, designated to align with the Hall of Memory and the Hall of Silence in the original building. 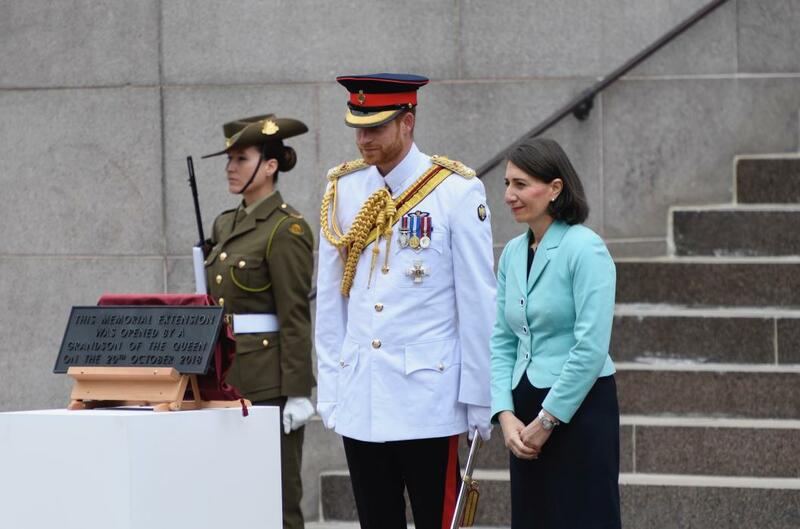 A foundation stone was installed to acknowledge the Anzac Memorial Centenary Project’s focus on acknowledging a century of military service and distinguish this from the Anzac Memorial’s original purpose. Continuing the tradition of both the Memorial’s original foundation stones and opening ceremony plaque the new stone does not include any dignitaries’ names.